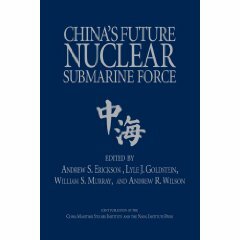 Andrew S. Erickson, “China’s Armed Forces: Strong and Growing Stronger,” Harvard Fairbank Center Blog Post, 30 July 2018. Andrew S. Erickson, Professor at the U.S. Naval War College’s China Maritime Studies Institute (CMSI) and Associate in Research at the Fairbank Center, assesses how strong China’s armed forces are and why that matters. How strong are China’s three armed forces? The People’s Liberation Army, People’s Armed Police, and Militia are already formidable — second only to the U.S. military in aggregate capabilities. Commander-in-Chief Xi Jinping’s sweeping reforms are making China’s forces leaner and meaner while reducing lingering weaknesses. They are rapidly becoming more capable, particularly at addressing the security objectives for which they are optimized: most importantly, safeguarding the People’s Republic of China (PRC)’s regime, homeland, borders, and sovereignty claims. Properly understanding China’s capabilities and intentions matters greatly. Under Xi, China’s national goals are encapsulated in an ambitious grand strategy of “national rejuvenation” (Make China Great Again). The power of China’s armed forces will be a key determinant of its ability to achieve both this overarching national objective and many of its subsets. As showcased at the recent Shangri-La Dialogue in Singapore, debate is mounting: to what extent will China use its growing hard power to be a bully — as is widely feared, or a benefactor — as is widely hoped? All told, the PRC has arrived as an undeniable world great power with strong armed forces that keep getting stronger. That said, China’s armed forces under Xi are not guaranteed to achieve all the goals that he envisions for them. Key dynamics are not all positive, and future trends remain uncertain. In Beijing’s favor, it has heretofore focused intensely on a strict hierarchy of national security priorities. The Party cares most about regime continuity, domestic stability, border integrity, and peripheral sovereignty claims — all of which China enjoys tremendous geographical advantages in pursuing. 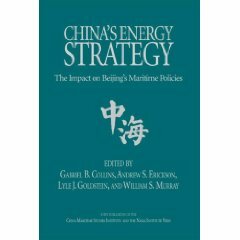 Further out in distance, time, and sophistication, however, China’s armed forces will increasingly face the mounting costs and diminishing returns that plague other world powers. Amid these headwinds, the growth rate of China’s economy and overall military capabilities may slow, particularly if future domestic challenges arise to claim an increasing share of national resources. Visible thus far: short-range opportunities, long-range challenges. All this makes how strong China’s armed forces will become, and how Xi might choose to employ them, among the greatest questions of our time. Andrew S. Erickson is professor of strategy in the U.S. 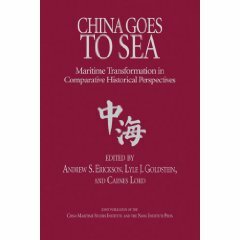 Naval War College’s China Maritime Studies Institute, and an Associate in Research at the Fairbank Center for Chinese Studies. He is a contributor to the Fairbank Center’s latest publication, “The China Questions,” available now from Harvard University Press. His chapter in that volume offers further analysis on the subject of this post. 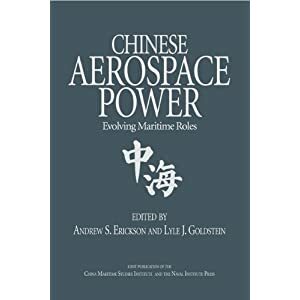 Read Andrew Erickson’s post “Understanding China’s Third Sea Force: The Maritime Militia” on the Fairbank Center Blog, or check out his China research website at www.andrewerickson.com.